Inspired by College Baseball Daily’s list of the top 100 college baseball players, BluGrass Baseball is counting down the top 25 returning Kentucky collegians in advance of the 2011 season. We continue the list today with one of the 2010 BluGrass Baseball freshman of the year. UofL redshirt sophomore right-handed pitcher Justin Amlung boasts the lowest 2010 ERA of any returning qualifying Kentucky collegiate pitchers. Amlung was 5-2 with a 4.27 ERA and 55 strikeouts to go with 11 walks in 65 and one-third innings pitched. The St. X alum started 10 games for the Cards last season, beginning the year as a midweek starter before finishing the season in the weekend rotation. Amlung surrendered just three home runs in 65 and one-third innings in 2010. Amlung redshirted during the 2009 season but was named a Prospect League all-star during the summer 2009. Amlung was named the 2010 BluGrass Baseball freshman of the year following his strong redshirt freshman season. The right-handed pitcher returns as UofL top starting pitcher and will be counted on as a weekend starter especially with Keith Landers out until midseason. Following the completion of the “offseason position battle” series we will post a lineup project for each of the five division one schools this week. The lineups are based on the position battle posts and are only a guess and what each Opening Day lineup might look like. We will also include weekend rotations, midweek starters and closers for good measure. 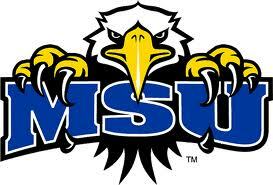 We are working in reverse order of the 2010 records, begining the series with Morehead State University. *A previous version of this post incorrectly to identified Ryan Conner as Eric Sanders. This post has also been amended to include information learned after its original publishing. Inspired by College Baseball Daily’s list of the top 100 college baseball players, BluGrass Baseball is counting down the top 25 returning Kentucky collegians in advance of the 2011 season. We continue the list today with our second consecutive 2010 Cape Cod League all-star. UK outfielder Chad Wright arrived on campus without the publicity of his fellow classmates in 2008, but has been the most consistent performer in the Cats’ vaunted junior class. In a two-year career Wright had batted .328 with six home runs, 60 RBI, 76 runs scored and 22 stolen bases, all while starting almost every game in the outfield. In 2010 the then sophomore batted .316 with two home runs, 37 RBI and 36 runs scored. He stole 12 bases in 15 attempts while starting 53 games for the Cats. During the summer Wright was named an all-start in the prestigious Cape Cod League where he batted .300 with 18 runs scored, six doubles and 10 RBI in 43 games. He was successful on six of 12 stolen base attempts during the summer season. Wright returns to UK in 2011 as the only full-time outfield starter from last season. Wright has been the Cats’ primary leadoff hitter for the last two seasons and should begin 2011 in that role. Wright’s fellow class of newcomers from 2008 was ranked No. 4 in the country. Inspired by College Baseball Daily’s list of the top 100 college baseball players, BluGrass Baseball is counting down the top 25 returning Kentucky collegians in advance of the 2011 season. We continue the list today with a 2010 Cape Cod League all-star. Junior right-handed pitcher Derek Self was 7-0 with a 4.52 ERA in 27 games, including eight starts, for UofL in 2010. The Cave City native struck out 50 batters and walked 11 in 61 and two-third innings. Self moved between the weekend starting rotation and a midweek starting role in 2010, but he did start the Cards’ NCAA tournament opening win over St. Louis. He is among the candidates for a weekend starting role in 2011 but will serve as a valuable weapon either as a starter or reliever. Self was named a 2010 Cape Cod League all-star and finished the summer season at 3-0 with a 2.36 ERA and 17 strikeouts in 42 innings for the Chatham Anglers. On July 11 he pitched a complete-game, one-hitter for the Anglers. In his two-year UofL career Self is 14-0 with a 4.25 ERA. He has struck out 84 batters and walked 25 in 108 collegiate innings pitched. Self was named a Louisville Slugger freshman all-American in 2009. Jason Beck of MLB.com profiles former UK first baseman Ryan Streiby, who says he is ready to put a nagging wrist injury behind him though doctors say he may never permanently get over the problem. Bob Nightengale of USA Today reports the Twins have penciled in Lexington Catholic alum Ben Revere to start the season at AAA Rochester, but won’t hesitate to call him up in 2011 if needed. The Louisville Bats have extended their affiliation with the Cincinnati Reds through 2014. The Bowling Green Hot Rods have named Ryan Gates, formerly of the independent Lake Erie Crushers, as the franchise’s new general manager. The University of Louisville, and most other college teams, opened practice Friday. The Cards welcomed St. Louis Cardinals pitcher Adam Wainwright and Bats manager Rick Sweet to campus for the Louisville Baseball Leadoff Dinner. Cincinnati Reds pitcher and offseason Louisville resident Matt Maloney also got in a workout with the Cards according to his twitter account. Murray State University opened practice Friday at the school’s football stadium, where they will stay until the weather improves. The University of Louisville is ranked No. 21 in the preseason ESPN/USA Today coaches’ poll. Courier-Journal columnist Eric Crawford reports UofL is close to completing a plan to double the size of Jim Patterson Stadium, the home of the baseball Cards. UofL has also announced its 2011 television schedule, including two national games on CBS College Sports. The April 12 game vs. the University of Kentucky will be aired throughout the state on the Wazoo Sports Network. Angela Brandt of the Helena Independent Record reports the Hillerich & Bradsby Co., owner of Louisville Slugger, is appealing an $800,000 jury award for “the family of a teenage pitcher who died from injuries sustained when a batted ball struck him in the temple.” The jury ruled against Hillerich & Bradsby because they said the company should have warned the bat user about its danger. The company disputes that reasoning. The Dallas Morning News notes former UK right-handed pitcher Brandon Webb is selling used cards in Ashland this offseason. Benjamin Hill of MiLB.com profiles 2010 Bowling Green Hot Rods outfielder Cody Rodgers, who is working this offseason as a prosthetic technician. In case you don’t recognize the career, Ross is making artificial limbs. 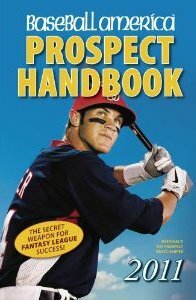 In the opinion of this baseball writer there is not a more important annual publication that Baseball America‘s “Prospect Handbook.” The 2011 edition of the Handbook was mailed this week with mine arriving on Thursday. I cannot recommend the book highly enough if you are a baseball fan, especially one interested in identifying the next MLB stars before your friends. You can purchase the book from BA here. I’m going to list some basic Kentucky info from the book below but won’t give away the rankings or scouting reports in order to encourage you to buy a copy of the book yourself. Four Kentucky school alumni were included in the already released top 10 prospect rankings for their respective organizations: Zack Cox, Jason Kipnis, Christian Friedrich and Ben Revere. PRP alum Cox was ranked the No. 2 prospect in the Cardinals organization, one-time UK outfielder Kipnis was ranked the No. 3 prospect in the Indians’ system, former EKU left-handed pitcher Friedrich was ranked the No. 4 prospect in the Rockies’ organization and Lexington Catholic alum Revere was ranked the No. 5 prospect in the Twins’ system. Eleven other Kentucky school alumni were included in the 11-30 rankings for their respective organizations: former NKU right-handed pitcher Josh Lueke, former UK first baseman Ryan Strieby, former UofL third baseman Chris Dominguez, former UofL right-handed pitcher Thomas Royse, former UK outfielder Collin Cowgill, former LCA left-handed pitcher Robbie Ross, former NKU right-handed pitcher Nathan Jones, former UofL right-handed pitcher Trystan Magnuson, former WKU third baseman Wade Gaynor, former UofL outfielder Josh Richmond and former Ballard left-handed pitcher Richard Sullivan. Three organizations had two Kentucky alumni in the top 30 lists: the White Sox, Rangers and Tigers. The Cardinals, Indians, Rockies, Twins, Mariners, Giants, Diamondbacks, Athletics and Braves also had Kentucky alumni included in their respective top 30 rankings. 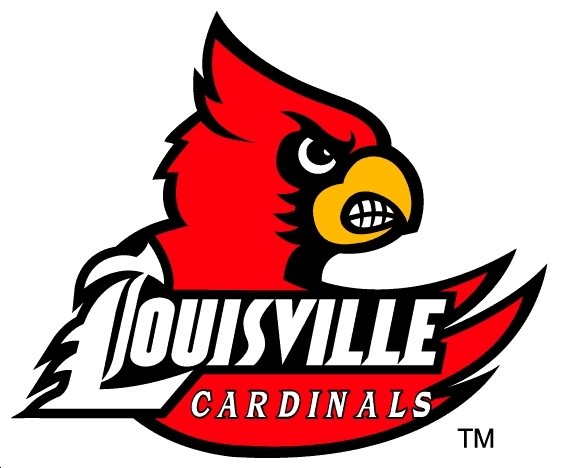 The University of Louisville had four alumni ranked on top 20 lists, the University of Kentucky had three alumni listed and Northern Kentucky University boasted former two players in the handbook. Two players drafted straight out of Kentucky high schools were ranked on organization top 30s: Revere and Ross. Inspired by College Baseball Daily’s list of the top 100 college baseball players, BluGrass Baseball is counting down the top 25 returning Kentucky collegians in advance of the 2011 season. We continue the list today with a returning draftee who will likely close for one of the top teams in the country this season. Senior right-handed pitcher Casey Lucchese returns to college after being selected in the 39th round of the 2010 draft by the Chicago Cubs. Lucchese was 4-0 with a 3.18 ERA in 21 relief appearances in 2010. The Paul Laurence Dunbar High School alum struck out 52 batters and walked 16 in 39 and two-third innings. He held opponents to a .222 batting average last season. Lucchese appeared in one game for the Lexington Hustlers during the summer. College of Charleston enters the 2011 season ranked No. 20 team in the country as ranked by Baseball America. Aaron Fitt of BA projects Lucchese as the team’s primary 2011 closer writing Lucchese “was the team’s most reliable reliever last year, and he should do fine as the closer thanks to an 88-92 fastball and a swing-and-miss curve.” The Lexington Herald-Leader included Lucchese on its 2007 all-city team, which also included minor leaguers Ben Revere, Robbie Ross, Jayson Langfels, Tyler Oliver and Thomas Royse and current college standouts Nick Maronde, Cameron Flynn, Justin Riddell and Travis Redmon.